Mayor Emanuel must have found a moneymaking machine in the bowels of City Hall. After all, only a few days ago he was arguing that CPS is so broke that the schools will have to cut their budgets. And now, out of nowhere, it turns out he's got enough money on hand to give three north-side schools $100,000 each—if they just shut up about all the other cuts in town. 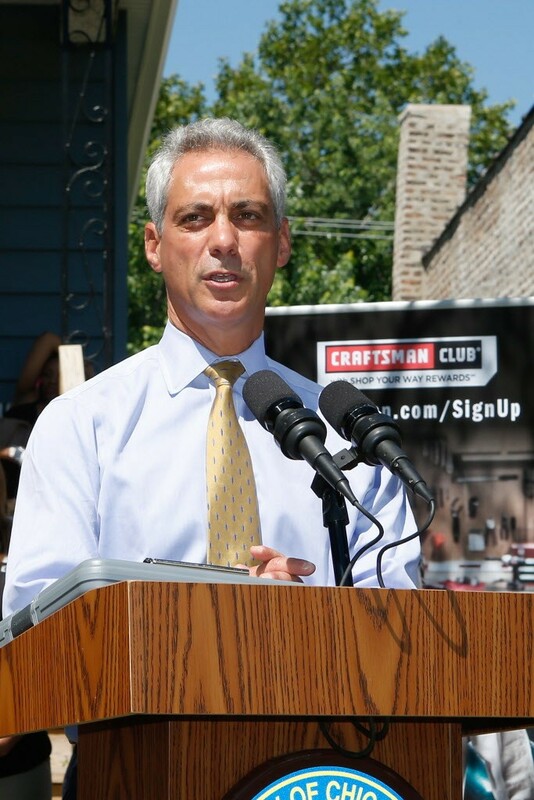 Well, Mayor Emanuel didn't come right out and say, "Hey, north-side schools, shut up about the cuts!" It's more of an inference that any reasonably intelligent Chicagoan might make. In any event, it was only on Sunday that the mayor wrote a guest editorial in the Tribune pointing out that unless the teachers took a pension cut—or, as he calls it, "comprehensive pension reforms"—the school funding would be whacked. And then on Monday, Sun-Times reporter Lauren FitzPatrick broke the news that three north-side schools—Bell, Blaine, and Audubon—surprisingly got the extra $100,000. "What, are they trying to shut us up because we're a middle-class neighborhood?" Alex Pramenko, Audubon's local school council chair asked FitzPatrick. Actually, Mr. Pramenko, I think you pretty much summed it all up. It's obvious that north-side parents were starting to get a little too loud and organized about the budget cuts. In fact, on June 21 several hundred of them marched to DePaul's downtown offices to protest the $55 million in property taxes the mayor wants to spend building a basketball arena for the university and a hotel. They argued that a city that can't afford art, music, and gym for its public schools shouldn't be allowed to spend millions on a basketball arena for a private university. Damn, man—you can't have the peasants messing up the TIF deals. My goodness, can you imagine what will happen if south- and west-side voters catch on to the TIF scam? You know, it really is starting to remind me of Metra's $718,000 payout to former CEO Alex Clifford (by the way, excellent column on this subject by Phil Kadner in the SouthTown Star). Or the $300,000 that CPS spent to get former CEO Jean-Claude Brizard out of town. It's like they do what they gotta do to hush you up so that they can get back to doing what it is that they really wanna do. Which, in this case, is to manufacture a budget crisis in order to squeeze the hell out of teachers so the mayor has plenty of TIF dollars to throw around. Mayor Daley was a master of this game—I used to watch him play it year after year at his annual budget hearings in the neighborhoods. Some guy would stand up and complain about a craterlike pothole that the city never filled, despite his many complaints. And when he sat down, a mayoral aide rushed over to take his name and address. Within a few days, a city crew came in and filled up the pothole. Give Mayor Emanuel credit. For a North Shore kid who's only been in town full-time for a couple of years, you'd think he was raised in Bridgeport.